The advantages of becoming a member ! Members of the club have priority when selecting their events. They are the first to be notified on future events and sailing trips. The price for the members is non-profit. FunSailing promotes accesible sailing. Members will gather MFS with each sailing trip. They will be able to trade their MFS afterwards either for discounts or FunSailing merchandise. Your friends are our friends: when recommending , you will receive also the MFS for the recommended friend on their first trip. 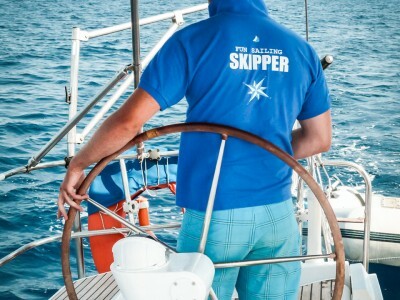 FunSailing helps you skipper your own boat by easing the access to Yachting Schools with discounted prices. 1. Read the Terms and contitions HERE. Go to http://portal.funsailing.ro/ create your account. Be sure to update your profile correctly. We need the data to be accurate, as we will create the boarding papers based on that information. Please make sure that the data is up to date at all times – as your participation to every event will depend on it. Looking forward meeting you !